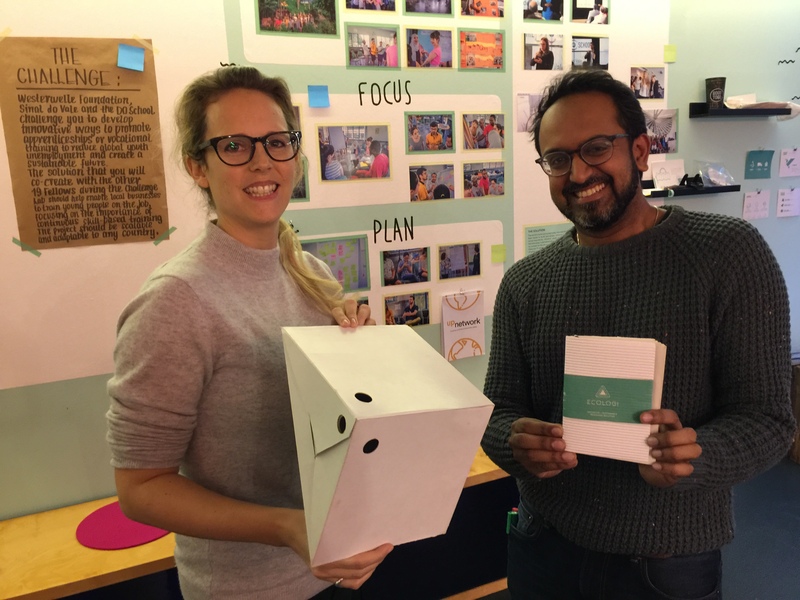 I met with The DO School team in Berlin: The DO School is a renowned development ground for young social entrepreneurs, which has developed an original innovation offering involving corporates and startups, in a journey for disruption! 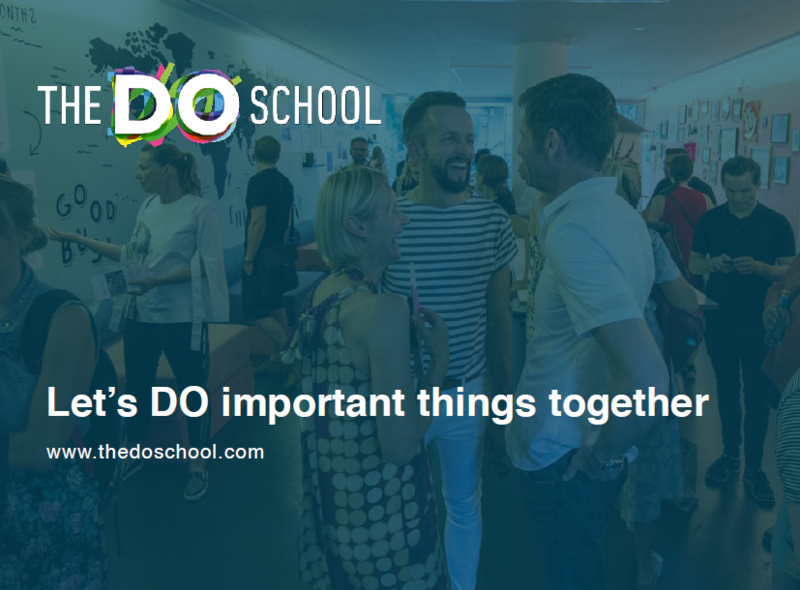 Florian Hoffmann, charismatic founder and managing director of Berlin’s DO School, and his great team kindly accepted to dig into The DO School value proposition. 1) Nicolas: You call The DO School ‘a BtoB engine for large companies, to get a better picture, figure out a business purpose, and develop solutions beyond the organization, bringing together international entrepreneurs & students with corporate intrapreneurs’. Would you like to refine this definition? And would you provide us with an example of a typical program you’ve conducted (for example Axel Springer on the future of radio, 20 young entrepreneurs embedded with Axel Springer employees)? Happy to Nicolas. The DO School addresses the need for large companies to reinvent themselves in order to drive the change that every industry is facing today. We see CEO´s invest in new business, upskilling their teams and driving the culture. But we see that this effort is rarely taken holistically, and is therefore often inefficient and costly. The DO School drives trusted partnerships with selected corporations to add a different way to create innovation. We don’t want to discuss but DO the future of work together and most importantly, further develop the purpose of the business, not only for the shareholder but also for society. We define important Challenges with our partners and around those bring together passionate young entrepreneurs, employees and experts from around the world. This diversity employed in actually implementing solutions to a Challenge creates value. If 20 young entrepreneurs come together with heads of radio stations, Axel Springer and experts for three months to create the future of audio solutions, they each bring their unique experience and knowledge. But the employees of the radio stations also practice a new way of working within and by incorporating outside expertise – all geared towards making a solution happen. In the process, each participant gains skills but also formulates her or his passion, and thus creates purpose for the company. What we see is that the results and the process of working together can transform companies to create their future success with empowered employees. 2) The DO School program is based on a genuine methodology you’ve developed: the Challenge > Dream > Focus > Plan > Do framework. It is usually run over 10 weeks within 6 months: could you describe the successive steps? Our DO School Method is build to bring highly diverse teams together to quickly understand a problem, develop solutions, detect which solutions are valuable, plan them out, and implement them. Quickly, cheaply and by learning from it. The Method works for large organizations as much as for start-up entrepreneurs. The shortest program we run with the Method lasts 2 days, the longest process 2 years. It all depends on the Challenge at hand. 3) Attracting corporates, and building a network of entrepreneurs contributors, a global community of doers, makes The DO School look like a market place with 2 sides. How do you on-board entrepreneurs on your platform, and develop their loyalty? Do you also engage mentors to train, and follow-up on the innovative project developed during the 10 weeks program? Yes that’s a great question. I also think this is what makes us really special. I described the value for the companies but at the same time we want to create value for the participants, young entrepreneurs and experts alike. For this purpose we always build a program for them around the company Challenge. Sometimes that means that we support them for another year with their start-ups, sometimes it means they receive specific coaching, and access to our DO School network comprised of passionate Doer´s across 90 countries. Building a global community of Doer´s that are excited about solving tough problems effectively is our raison d´être and we put a lot of care into the curation. 4) There wouldn’t be a successful The Do School business, without a brilliant The DO School team: could you present the various team members, and their roles? Our team is a diverse as our community but everyone joined the DO School with the belief that being able to turn ideas into action, to find entrepreneurial solutions to the big changes our industries and societies face, is one of the best ways to create the world we want to live in. So we have program designers from Australia, India and Germany, former economist and artists, strategy consultants, philosophers and social workers. We are a closely knit community from over 10 countries, the majority of the team is in Berlin with outposts in New York and Hong Kong. 5) One more thing… what’s your next challenge for 2018? Detecting which industry of those that we are not active in could also benefit from our approach to innovation and purpose, as well as to manage our growth and the different activities in more than 20 countries well. And of course, continue to build and celebrate our global community.